Some years ago, before smart phones were common, Pocket PCs were available. They were small devices which offered watered-down office applications, as well as organizer/calendar type functionality. 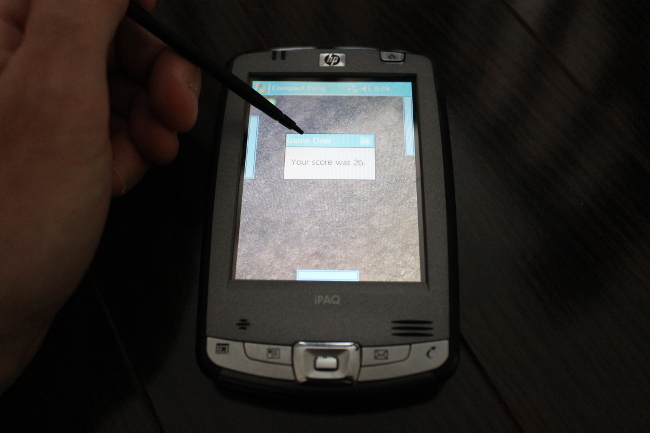 My Pocket PC is an HP iPAQ, running Windows Mobile 2003. The cool thing about these devices is that they can run programs written for .NET Compact Framework 2.0, a version of .NET which targets resource-limited devices. 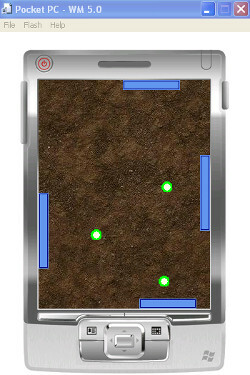 Compact Pong is different from regular Pong in that it's a single player game, where the player controls 4 paddles (top, bottom, left, and right of screen), trying to not miss any of the balls which periodically increase in quantity. Developing an application in .NET CF for Pocket PC is similar to developing a Winforms application for Windows. Having worked extensively with .NET 4.0+, I found dropping down to .NET CF 2.0 constricting. Not to mention that the device was low on horsepower, and everything lagged. However, the tool chain was very easy to install. One hurdle I had to overcome was the flicker caused by screen updates. I accomplished this by performing the heavy bitmap rendering operations to a back buffer, and then dumping the buffer to the screen. Another challenge was being unable to rely on a simple "main game loop", like some of my other games on older platforms. Compact Pong is entirely event-driven. 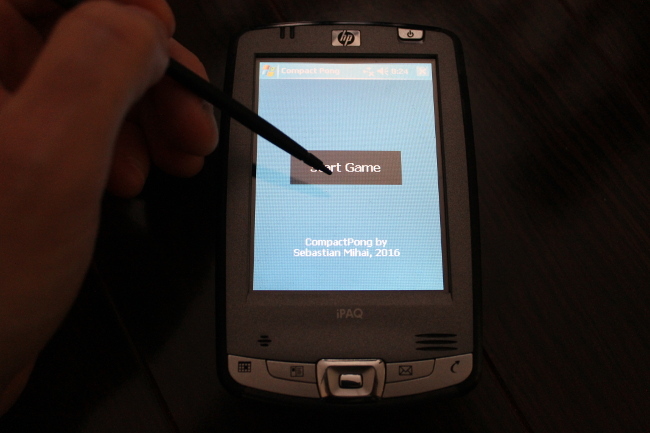 Finally, Pocket PCs have slow CPUs, which, coupled with the overhead of the .NET CLR, meant that video frames had to be skipped in order to maintain a decent game play speed. This also influenced the game design of Compact Pong: I opted for multiple, slow moving balls, rather than one fast ball. Other setups might work, as well. I'm suggesting the above because that's what I used. 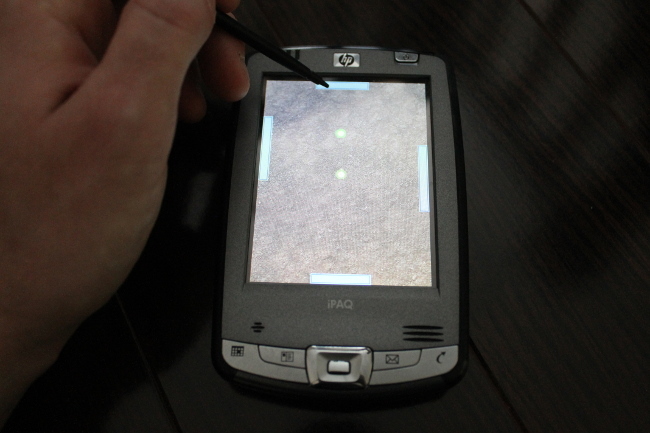 With the above tools, I could use either an emulator, or real hardware to test my code.